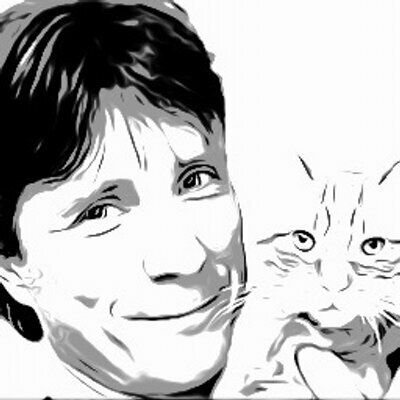 Uncategorized Keynote: Human-animal interactions: a sustainable relationship? 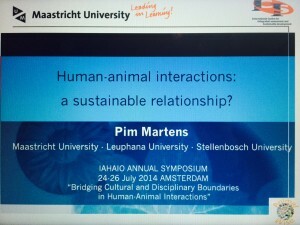 Keynote: Human-animal interactions: a sustainable relationship? If we look at the many sustainability indicators that have been developed over the years, it is striking to see that animal-wellbeing, also in the field of animal assisted interventions hardly plays a role. The reason that ‘animals’ and ‘sustainability’ are not often mentioned together in one sentence is likely to be found in the fact that the sustainability debate has been hijacked in recent years by industry and governments. Their view regarding sustainable development significantly has been subordinate to the dogma of economic growth with little regard for animal welfare. How shortsighted this is, has been illustrated by the various outbreaks of animal diseases in intensive farming, and the development of antibiotic resistance of many pathogens because our cattle are given too many antibiotics. These are just some examples, but it is increasingly clear that our own well-being is closely connected with the welfare of the animals with whom we live. Animal welfare should therefore be central in the sustainability debate: sustanimalism. With this in mind, we need to initiate further the study of sustainable human-animal relationships, coupled with promoting action to improve the well-being of animals, also in the field of HAI and animal assisted interventions. In this presentation, human-animal relationships will be linked to concepts and tools from sustainability science and some examples – biodiversity, zoos and pets – will be discussed. AnimalWise initiates the study of sustainable human-animal relationships and promotes action to improve the well-being of animals.